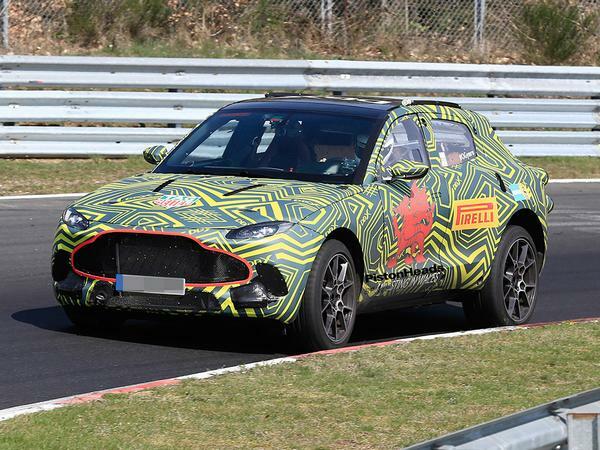 Home > News > PH > Aston Martin > Aston Martin DBX caught testing: Update! It gets about, the DBX. 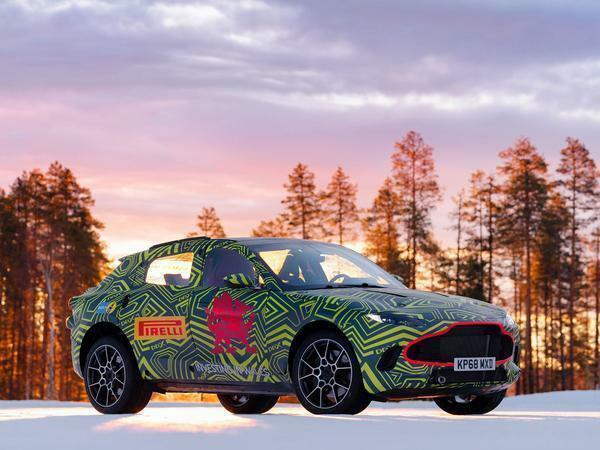 Full production isn’t due to kick off until next year - in a factory which isn’t even completely up and running yet - but Aston’s test mules have been seen everywhere from a Welsh rally stage to Pirelli’s cold-weather test facility in Sweden. 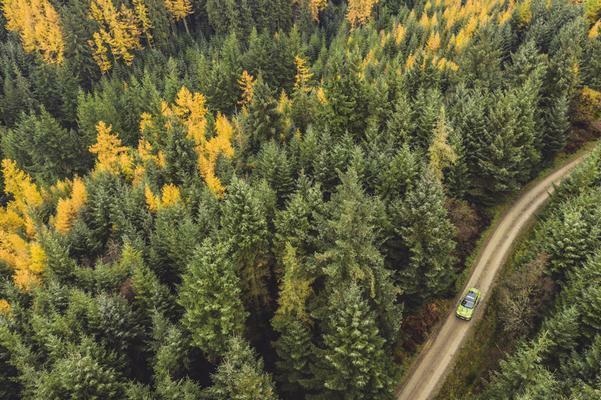 This week, for the first time (we’re told) the forthcoming SUV has finally made an appearance at Europe’s favourite - and very public - real-world test circuit. Somewhat unsurprisingly then, the occasion also marks the first time the ‘spy’ pictures have been supplied by an actual spy photographer. In previous months - including a somewhat cringeworthy appearance outside Downing Street in February to help ‘celebrate’ St David’s Day - Aston opted to supply its own images of the new model, lest it be captured at an unflattering angle. A sunny day in Germany doesn’t muddy the water too much. 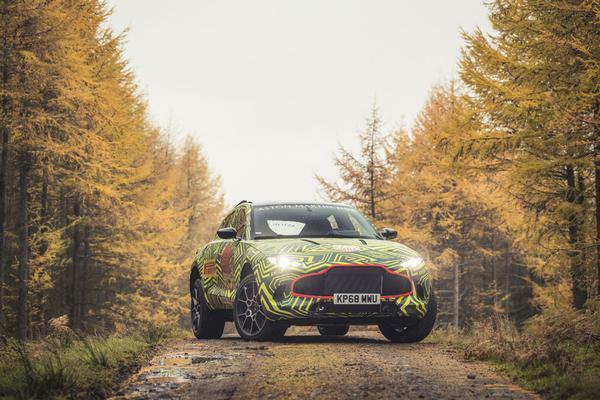 The prevailing assumption in the office is that the manufacturer has played it relatively safe with the DBX’s styling; expect Vantage cues aplenty, but nothing that would prevent a conservative SUV buyer from happily parking it outside the school gates. Hawk-eyed viewers might notice that the mule is missing its rear seats - but that’s hardly unusual for a prototype. 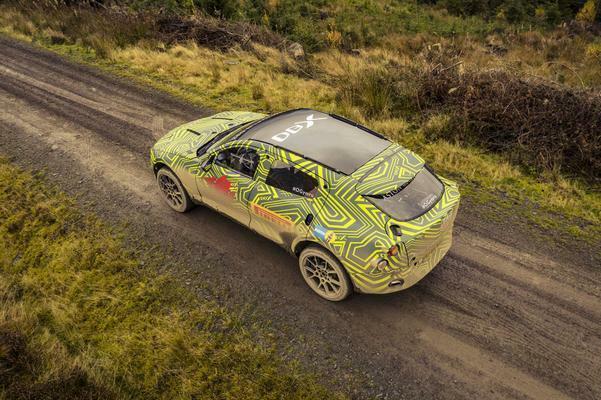 No, the really nice and new thing to say about the DBX is that you don’t actually need to go to the Nurburgring or Sweden or even Wales to see it testing. Lest we forget, Aston has paid for the pleasure of permanent and near unfettered access to Silverstone from a new dedicated test centre. As a result, its SUV has already been caught on camera being thrown unceremoniously around the UK’s most famous race circuit. Chocks away! 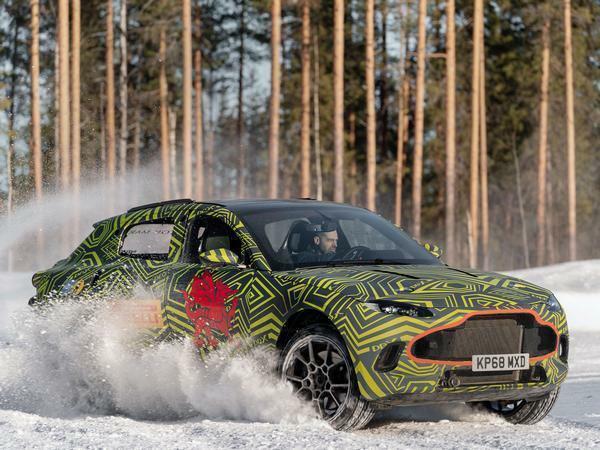 Although it’s been out of the headlines for four months, Aston Martin has been testing the DBX extensively over winter to ready it for a reveal in the coming months and market launch next year. 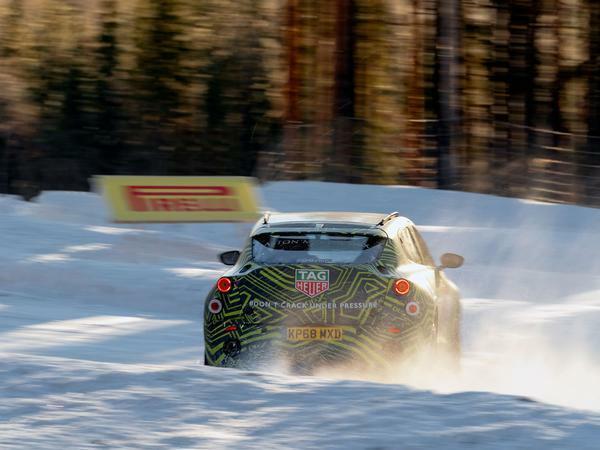 Obviously there are lots of critical things that happen at Pirelli's R&D proving ground in Flurheden, things involving laptops and software code and long days - but it does also condense rather neatly into 39 seconds of flashy video, too. 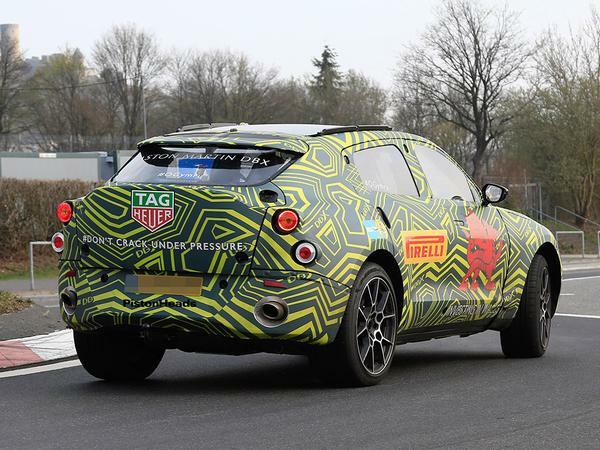 While it's been delivered to remind us that the DBX is incoming (having not been shown at Geneva), the manufacturer is also at pains to remind us that its first SUV will be a proper Aston as well. 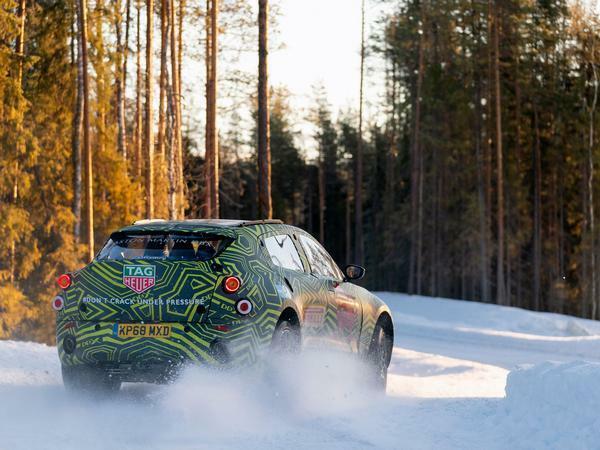 Chief engineer, Matt Becker, said: “Testing these prototypes in cold climate conditions helps us to assess the car’s early dynamics and crucially ensure confidence inspiring sure-footedness on low grip surfaces”. Well, of course Matthew. 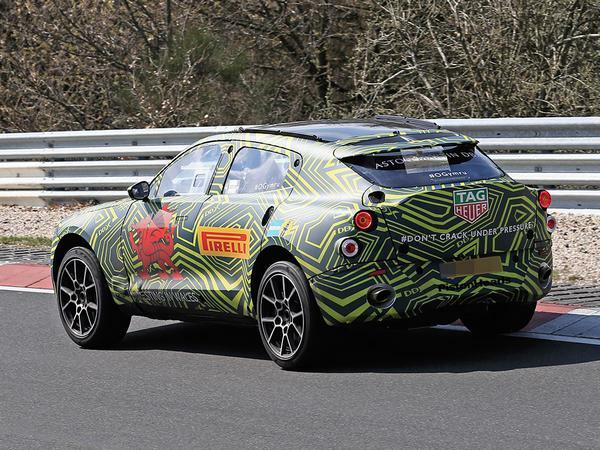 No further details for the car have been released – see our story below for the key stuff – but as the Welsh dragon on the prototype’s doors show, production will commence at Aston’s new St Athans site as planned. The facility is almost finished, with 70 employees already working from its converted MOD hangers and surrounding buildings, before a further 630 join them by spring 2020. So the DBX will be called the DBX. 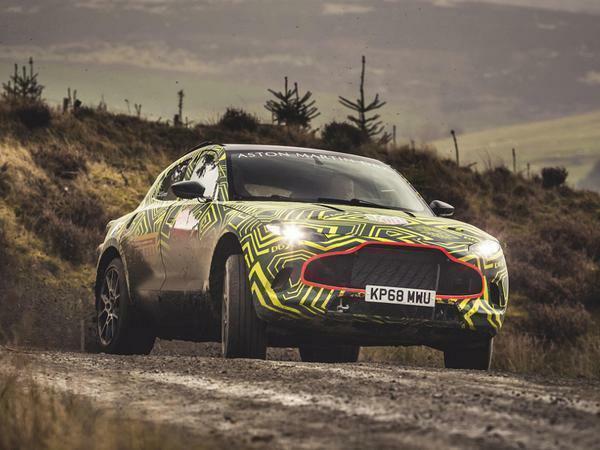 Not the revelation of the century, we'll grant you - but given the rancour Aston's first SUV is likely to provoke in some corners, you can forgive it for sticking with the name we've grown accustomed to. The car itself is going to take longer to sink in. Like the Cayenne and the Bentayga and the Cullinan and the Urus and the Stelvio and every other SUV heralding from a prestige or sporting brand, there will be a period of hand wringing and forehead slapping before the DBX is eventually thought of as nothing more than business as usual. 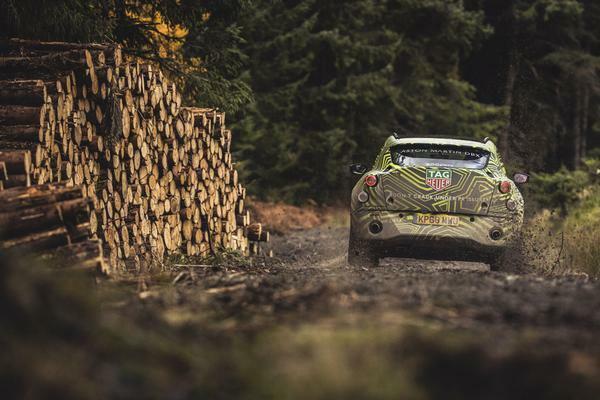 The continuing health of Aston Martin as a business is, of course, what's underwriting the whole venture. 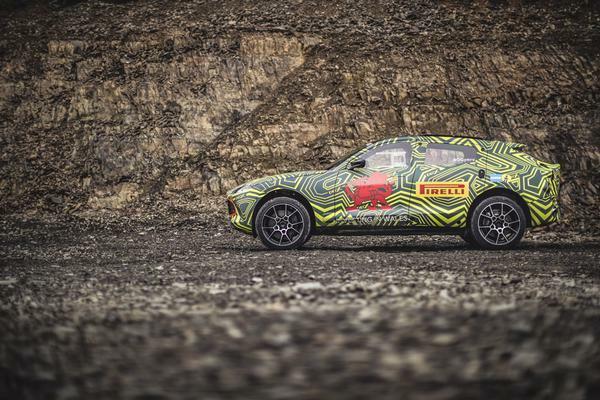 Ask anyone on either side of the Gaydon fence and they will tell you with great confidence that the DBX will romp from range oddity to best-selling model quicker than you can say 'Varekai'. It is no coincidence that the 2019 model is the first to break new ground in the manufacturer's famed Second Century plan (everything preceding it qualifying as a replacement for an existing model rather than new metal). The DBX is Aston at its most hard-headed. For that reason it will have to be hard hearted about the whole thing, too. Much of its recent handiwork - the Vantage, the DB11 AMR, the DBS Superleggera - has been met with mostly gushing, effusive praise. The DBX will probably not enjoy the same reception. 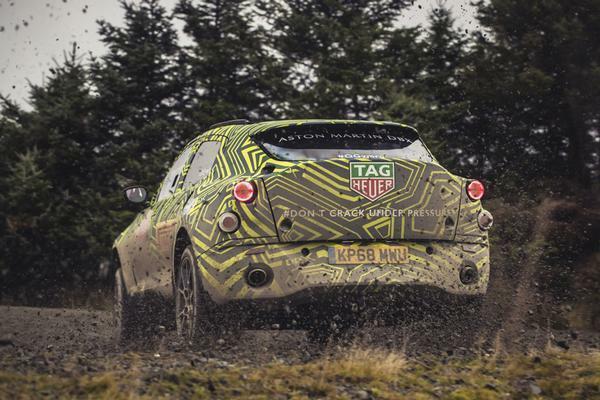 The latest pictures of it testing reveal a conventional-looking five-door SUV with Aston's signature nose grafted on. Not unpleasant perhaps, but not disarmingly pretty either - or halfway as bold as Gaydon might have been had it not had one eye on fixed on sales volume. Still, ambition can be measured in more ways than one. 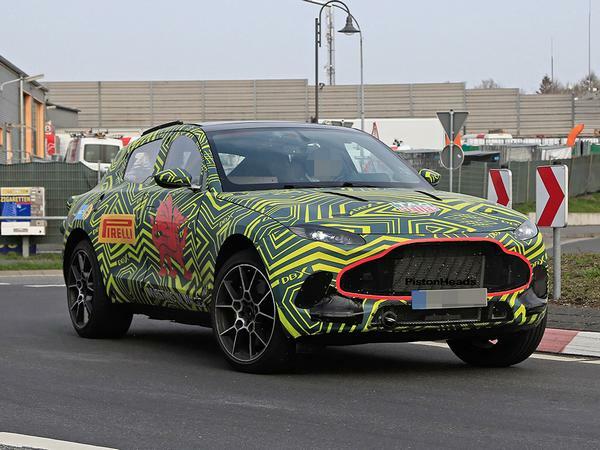 Lest we forget, Aston has built an entirely new factory to bring the DBX to life (one constructed in Britain, too) and the car sits on much the same platform that will eventually be used to underpin the forthcoming Lagonda - a saloon that promises to be forward-thinking in all the ways that the firm's first SUV is arguably not. Rest assured as well that the DBX will also have been made to go and sound like an Aston should. 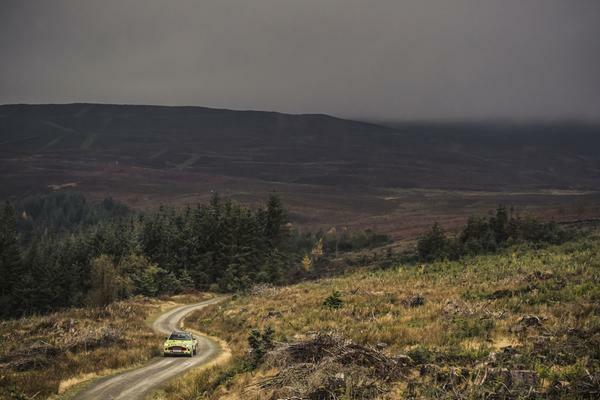 It is pictured on a Welsh rally stage because Gaydon wants to remind us that it is plumbing in the same go-anywhere bandwidth that its rivals have made great fuss of in recent years. 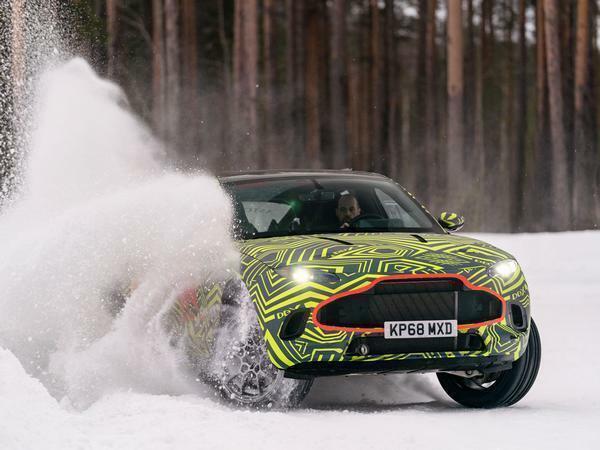 But the SUV is also said to be the first Aston to go through a new dedicated test programme - one specifically designed to ensure that it reproduces the kind of dynamic on-road performance that permeates through its current sports car lineup. It is not expected to have a hybrid powertrain holding it back either (not initially at any rate). 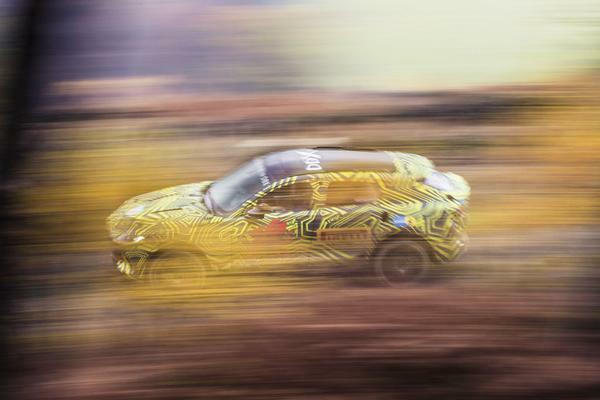 Instead the DBX will start out with Mercedes-AMG's 4.0-litre V8 - always a reason to be cheerful. As is the continued involvement of Mr M. Becker, Aston's formerly-of-Hethel chief engineer; the man keeping the prototype out of the undergrowth. Indeed, it is his presence at Gaydon that has us wondering what manner of SUV might yet exit the gates at St Athan. 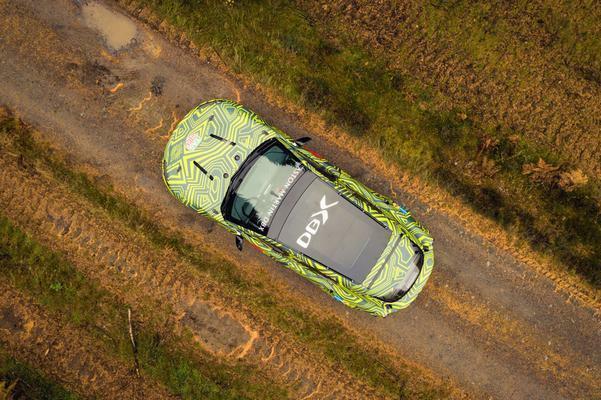 Should he and the rest of the team happen upon the same mix of balance, power, high-sidedness and high silliness that makes the Range Rover Sport SVRsuch a hoot to drive, the sky may yet be the limit for the DBX. Aston, for one, is virtually banking on it. 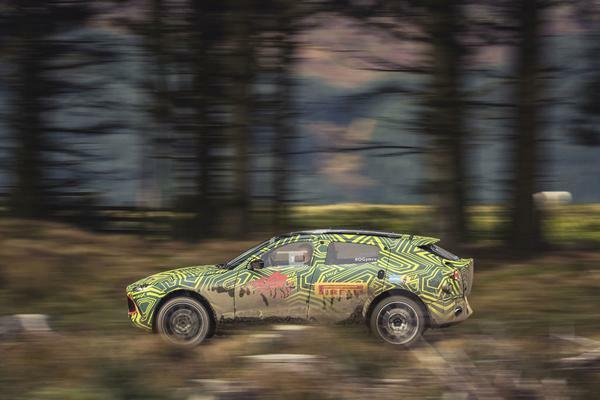 Looks great from the front, will be undeniably Aston hopefully, be awesome and probably the best looking of these super 4x4s. Where are Aston Martin based? FFS, not a single high volume sports car manufacturer having the guts not to build these atrocities! Looks small to me, like it would compete with the Macan? Its certainly going to be interesting how they price it. The back is ugly. Maybe it'll look better without the camo, maybe.